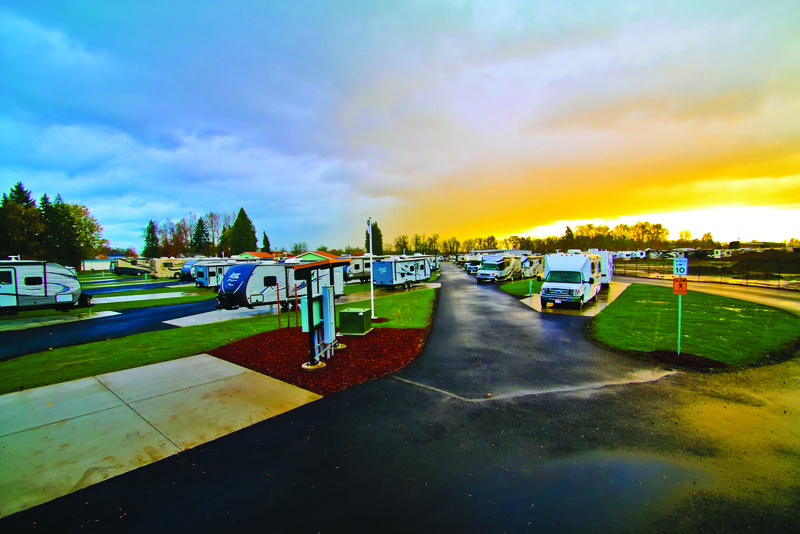 Guaranty RV Park – One-Stop Shop for Visiting Oregon and for RV Service! 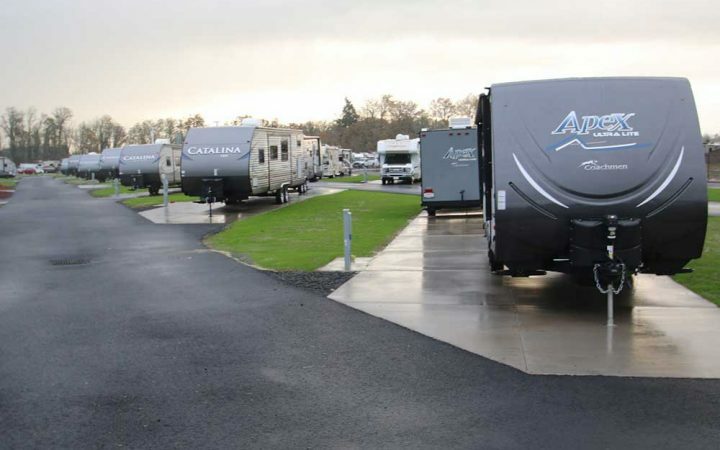 Oregon is half a day away from the Guaranty RV Travel Center & RV Park in Junction City, making the Guaranty RV Park the gateway to the Oregon RV Paradise. Did you know the breathtaking 363-mile Oregon coastline is lined with small towns, old-growth forests, churning surf, historical sites, amazing trails and fun restaurants? Where do you begin? It’s easy with our centrally located RV Center. Check out Astoria’s shipwreck remains, watch for whales at Cannon Beach or enjoy world-renowned cheese at the Tillamook Cheese Factory. Less than half a day away, you’ll find Oregon’s historic city on the Columbia River. With grand Victorian houses, antique shops and craft breweries, the waterfront Cannery Pier Hotel, Astoria has a rich history that reflects the many influences the town has had from cultures around the world. You might just find a vendor selling Dungeness crab out of a live tank. And there’s nothing like the Oregon Dunes National Recreation Area, where the hilly beach is embraced by the ocean on one side and lakes on the other. The Yaquina Bay Lighthouse, dating from 1871, is just an hour and a half drive from Guaranty RV Super Centers. It was officially restored as a privately maintained aid to navigation in 1996. Less than two hours away is what some call the gem of the Oregon coast. Stop at the Luna Sea Fish House, where the owner is a legendary fisherman or take in the inspiring scenery at the Siuslaw National Forest. We’re also just outside Eugene, OR, and the University of Oregon. 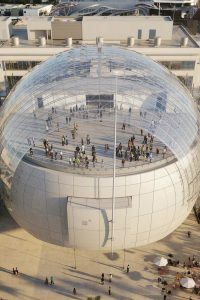 Thanks in large part to the University, a relatively small city like Eugene is much more cosmopolitan than its size would indicate – with dining, shopping, museums, and theater – plus, of course, great sporting events – Go Ducks! 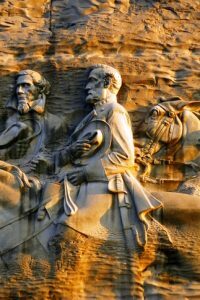 Of course, fishing and hunting are large parts of the outdoor lifestyle on Oregon and the Guaranty 7 Wonders RV Park is close to numerous rivers, lakes, and streams. Junction City even has a stocked pond that was written up on bestfishinginamerica.com. Junction City also offers easy access to the best wineries – and world-class wines – in the Umpqua and Willamette valleys. And multiple golf courses are nearby with Shadow Hills Country Cub offering exclusive access to its amazing course and restaurant as a special perk for Guaranty RV guests. Great availability, a great location, and great accessibility make the Guaranty RV Park the perfect base camp from which to explore all the great state of Oregon has to offer. 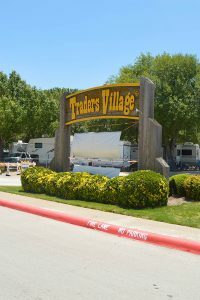 Our 55 paved, full hook-up 50-amp service RV spaces, 36 of which are spacious pull-thru sites, await in our beautiful park setting to accommodate RVs both large and small! 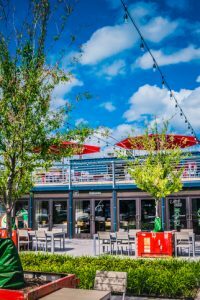 We’ve been getting lots of compliments on how roomy all of our sites are – no being shoehorned in next to your neighbor here! There’s even a friendly security service for added relation while you’re our guest. 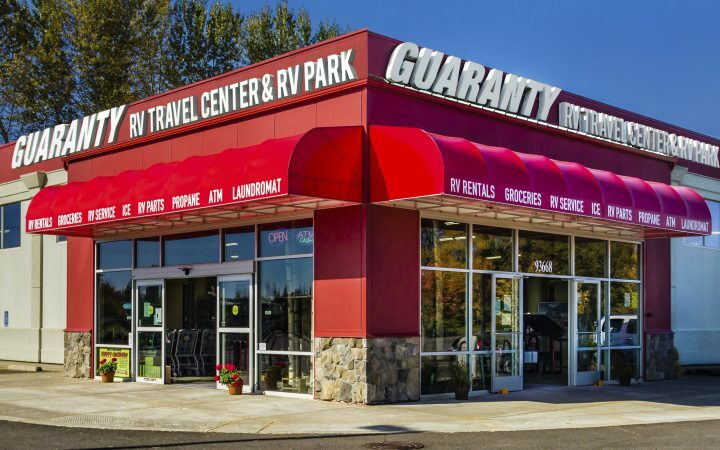 Guaranty RV Park is just a stone’s throw away from the Guaranty RV Travel Center with 11,000 square feet of RV parts and accessories, an exceptional RV Service Center, Café & Grocery, Laundromat and Propane Fill Station – so if you forgot it, broke it, need to wash it or fill it – we have you covered. 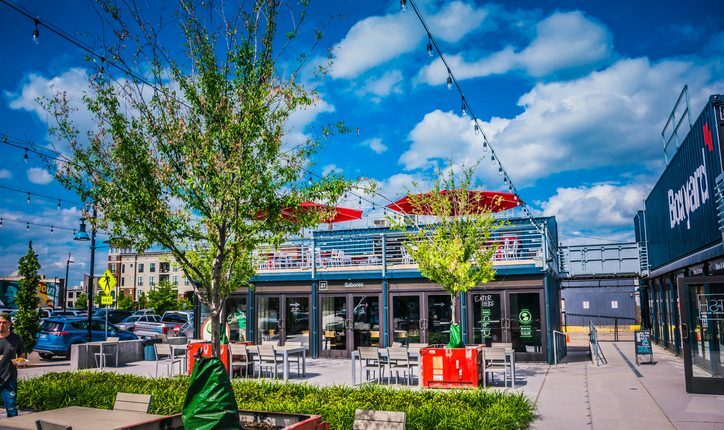 Plus the food is delicious and the beer and wine selection have got to be the best at any RV store in America – there’s even draft beer on tap in the Café. 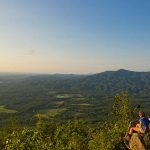 Located in beautiful and scenic Junction City, Guaranty RV Park offers a country setting with all the city resources. The park is quiet except on Summer Friday evenings when there is live entertainment in the pavilion.